Using technology that measures your brainwaves to learn how to train more effectively for sports and to deal with stress (PTSD, performance anxiety, etc.) is becoming more affordable, easy-to-use, and accessible. Welcome to an interview with Tre Azam, founder and CEO of MyndPlay, a BrainWave training and entertainment platform. 1. What is your name and your relationship to technology, including assistive technologies? My Name is Tre Azam, I am founder and CEO of MyndPlay which is a BrainWave training and entertainment platform that allows users to control video media using their mind, this also allows for constant neurofeedback during online training videos which can then be used for remote therapy and monitoring as well as personal emotional management development. 2. What is EEG Brainwave Technology? EEG I stands for Electro Encephalograph it is used in hospitals all over the world to monitor brainwave activity, it works by measuring the electrical impulses in your brain. By measuring the impulses we canget an insight into what the emotional state of the user is, this is done by analysing the brainwave patterns . 3. How can you measure brainwaves to learn how to control your mental state and to improve your focus? In 2004 a company called NeuroSky innovated within this field by creating algorithms for particular states the 2 main states identified were mental concentration (focus) or mental meditation (relaxed), these were then divided up into a scale of 1-100. By providing the user with a meter to get visual feedback means an insight like never before into our mind, we then use the applications to incentivise development of those functions by controlling the stimuli and training the response. 4. What are some of the advantages of being able to use brainwave technology? 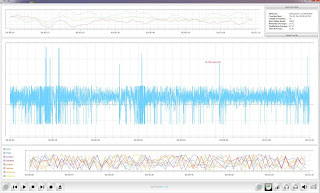 by using brainwave technology you gain insight and knowledge into how your mind works and what affects it most, for sporting peak performance it has been used for decades with expensive lab equipment to try and identify weaknesses in emotion or a personal individual triggers, brainwave technology takes out the guess work. 5. How are you using MyndPlay to help individuals with PTSD? MyndPlay began with the idea of providing a platform to help manage psychological and emotional problems without the need for ongoing therapy and expensive sessions, therapy is at the heart of what we do. Tre is also a therapist in the field of trauma and has always looked for ways to integrate great training methods that can be combined with neurofeedback to provide personalised remote therapy for sufferers of all emotional turmoils. On the myndplay app store we have a growing list of treatments for a range of problems including PTSD. the US Olympic archery team were amongst the first to work with our partners neurosky to find a cheaper alternative to expensive lab setups, building on that platform MyndPlay has since created a range of apps and training tools for sports caches and athletes to train themselves to manage their emotional in order to allow them to perform at their best. With athletes it is a matter of training both focus and calm as it is imperative for top level success to have both, a state often referred to as the zone. for sports one of the limiting factors has been location, it is hard to carry a lab around with you. 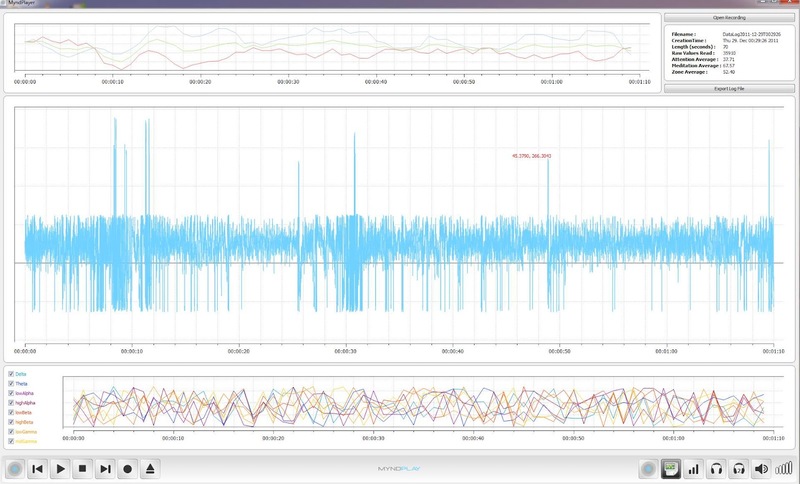 With MyndPlay Pro coaches and atheletes can record their brainwaves directly onto their phones and then transmit that information to a desktop where it can be analysed. 7. How might MyndPlay programs be used with elearning (including digital textbooks)? for elearning the ways it can be used are many, it can be a tool for measuring a persons level of interest and appropriate the work based on that, or it can be a tool that forces the user to remain in the correct “learning” state in order to allow them to keep learning. We are working on a few academic tools with schools in the UK. 8. Do you have links to demos or white papers? there are quite a few whitepapers on how the neurosky chipset and the headsets have been used for different things, I will try to dig some out and send to you. 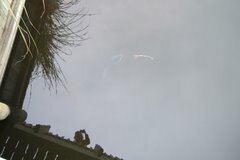 we have a number of videos on ours and our partner NeuroSky youtube pages. Online learning for children from ages 12 to 18 is an area of great growth and promise, as more schools move from strictly brick and mortar to blended approaches. The Michigan Virtual University has been an innovator in the field and offers courses to a wide array of schools and learners, who are able to obtain the courses in many ways.. Welcome to an interview with Dr. David Myers, Vice President of Educational Programs and Outreach. Michigan Virtual University designs, develops and provides online learning to middle schoolers and high school students as well as professional development for Michigan educators. I am responsible for coordinating the activities of four areas of the company. These are: curriculum and instruction, product development, customer service, and marketing, sales and communication. 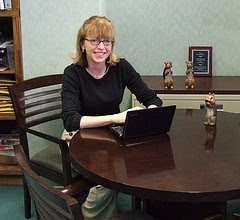 Michigan Virtual University works with local public and private schools in three areas. Since 2000, MVU has worked with the legislature, governor's office, local and private schools as a catalyst for change. Supporting early adaptors and introducing a new instructional approach was both challenging and rewarding. Moving from a traditional instructional delivery model in brick-and-mortar schools to online or blended learning has grown since the inception of the Michigan Virtual School in 2000 with the delivery this year of about 20,000 enrollments. MVU through the MVS provides both online content and online instructors that are Michigan certified and highly qualified in their areas of teaching. 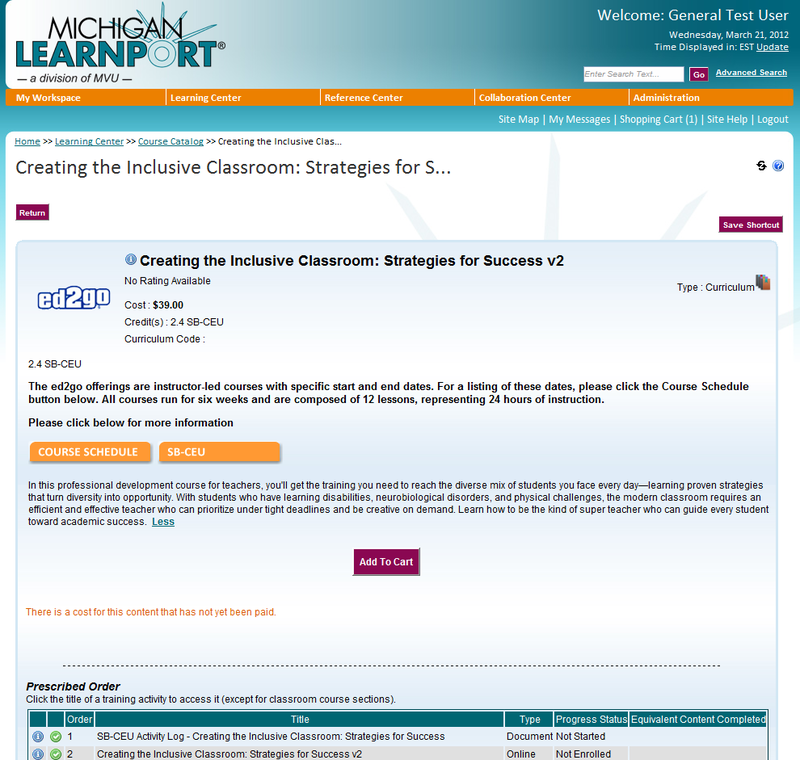 Through its professional development portal Michigan LearnPort®, MVU has also pioneered moving part of teacher training away from a one-size-fits-all model to one that serves the unique needs of individual teachers with professional development when it is needed, anytime, anywhere. Michigan LearnPort uses the Meridian Global LMS and supports about 15,000 educators yearly with nearly 25,000 enrollments. 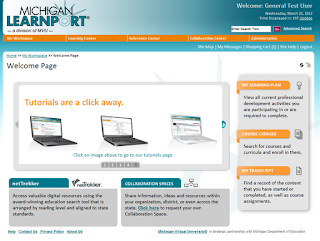 Michigan LearnPort also provides collaboration spaces, record-keeping and reporting, MVU also acts as a capacity builder with its customers, providing consultant services, training and strategic planning assistance as schools seek to provide effective programs to meet the growing needs of their communities. 2. 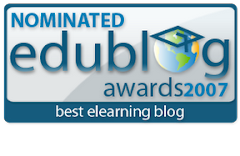 What do you consider to be some of the emerging challenges in elearning today? There are myriad challenges facing schools, teachers, students and parents as online learning moves from being a novelty to a recognized part of instructional delivery. Schools face the challenge of deciding what can best be delivered in traditional approaches and what can best be delivered through technology. They are also faced with deciding whether to build their own content, buy from a quality provider or barter with others in a combined approach. Blended learning, combining elements of both traditional and online learning, may become the best approach. In order for this to take place, teachers trained in traditional methods will need to learn new skills including becoming proficient with the hardware and increasingly complex software that's available. 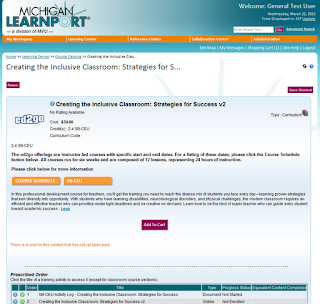 Online learning through Michigan LearnPort provides some of this needed training. Students need to transfer their interest in technology from pursuits in social media and recreation to learning traditional content. Parents will be faced with decisions on which type of learning best suits their child and what is the best content and when it should be introduced. All parties will be facing the issue of quality. How does one know that learning is taking place, and whether or not one model is better than another? As the market for online learning increases, the number of for-profit providers will grow. Determining how to identify quality providers and distinguish them from those just looking for profit will be a challenge. Relying on just sorting them out in a traditional market sense may yield many under-educated students. Unlike making a mistake in purchasing a product that can be returned, discarded or a new one purchased, students that loose valuable learning time with inadequate education will take a long time to make up the lost ground. 3. What are some of the opportunities that have presented themselves recently? MVU is investing considerable energy in two areas. 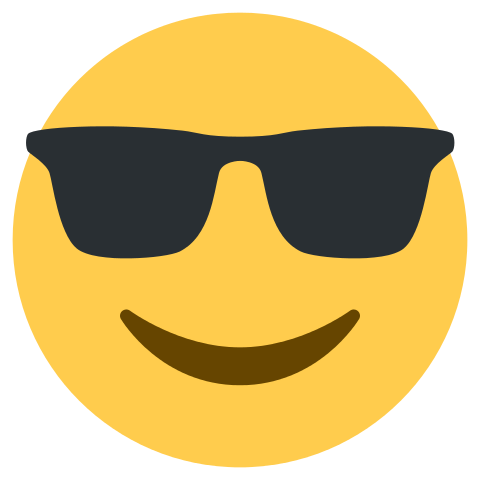 The first is the continued development of high-quality content. As partners in organizations like the State Virtual School Leadership Alliance, the International Association of K12 Online Learning and the National Repository of Online Content, MVU is working with experts across the country to insure that Michigan students and teachers have access to the best possible content delivered by the best-trained teachers. MVU has also developed programs for schools interested in developing strategies for introducing or expanding online learning in their communities. As part of a capacity-building role, MVU is working with individual schools interested in capitalizing on 12 years of experience in online learning. 4. Where are some of the biggest problems and inadequacies with the learning management systems that many people use? Most learning or content management systems are excellent in a few key areas, but not in all areas. Of particular interest in K12 is access to progress information on individual students and groups of students. Pulling data from the databases in a LMS is a challenge because the data needed is oftenvery specific to the individual approach a student takes through the content and the need is to identify patterns that yield the best results. This kind of data is not usually a main focus of LMS developers. Another area of need is for up-to-date "dashboarding" where school personnel, students and their parents (guardians) have instantaneous access to all kinds of information that is easily viewed. In education, many decisions are made each day on what resources or help might address a student's needs. The more data and the ease in compiling/displaying the data offer huge potential for intervening with (and redirecting) students. 5. How have you overcome them? What has your strategic objective involved? MVU spends a lot of time looking at new products, new media, and new approaches to teaching and learning. MVU recently developed a program that brought together representatives from about 30 school districts to discuss and plan for innovation. This think-tank, so to speak, will tackle some of the issues in online learning to help MVU decide what is needed most by our customers and what might promote individual schools to risk change. As for the LMS, MVU recently retooled the LMS that powers its online portal for K-12 teachers called Michigan LearnPort. Michigan teachers, school administrators and other school staff rely on the portal, in part, to earn continuing education units, take state compliance courses and satisfy other professional development needs. Our upgrade from Meridian's legacy product, the Knowledge Centre, to Meridian Global LMS 2011, is helping us improve content delivery, reporting, security and the user experience. 6. What do you think will constitute the future of e-learning? What are the "next generation" technological breakthroughs likely to be? Online learning is part of the fabric of K12 education. There is likely to be a balance between traditional brick-and-mortar delivery, complete online delivery and a combination of the two in a blended approach. The next wave of technology is likely to be in the area of assessment of learning. Education needs highly complex software capable of analyzing each individual's approach to learning, constantly changing the level of instruction and the pedagogical approach; so that, learning is challenging, yet not too difficult. Most experts in the field of online learning believe that the role of the teacher will remain important. Teachers will be relieved of some planning of instruction much like when textbooks were introduced, but there will be added emphasis on the diagnosis and prescriptive skills of the teacher. Individual learning plans will replace planning a single approach for a group of students. 7. What are some of your favorite "for fun" books? I love to read historical fiction like "Coming into the Country," by John McPhee, mysteries and thrillers for pure escapism. The best books I've read lately, or am currently reading that are more professionally oriented are "Crucial Conversations," "Outliers," by Malcolm Gladwell, and "Decision Points," by President George W. Bush. A new collection of essays, Feminist Cyberspaces (Cambridge UP, 2012) addresses innovations in technology and how they can be used to expand access to education. In addition, the collection brings together new views / approaches to feminist theory in light of technological innovation. 1. What is your name, affiliation, and relation to education and/or e-learning? At GW, I teach a first-year composition course. In our program, instructors are encouraged to plan their courses around themes that interest them. I've taught courses about women's contemporary popular fiction, food writing, and even the television series Mad Men. Many of my courses focus on gender representations. And, I am a big advocate of online resources. We use blogs each semester as a place for students to practice their writing and read and respond to each other's work. 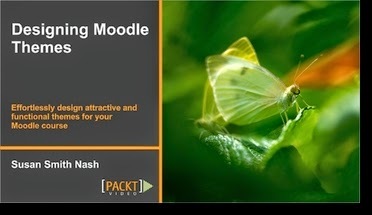 I've also taught an online version of the course over the summer. 2. What was your role in Feminist Cyberspaces? Sharon, Alvina, and I - along with another colleague, Carolyn Bitzer - presented on a panel together at the National Women's Studies Association. The panel focused on teaching, technology, and the Women's Studies classroom. 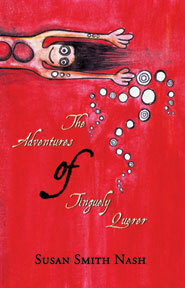 There was such interest in it that we decided to edit an anthology. I served as one of the editors and co-wrote the conclusion for the anthology. 3. How does the body of work / the work you did with the collction complement your own research, teaching, and other activities? As a graduate student, I taught for the Women's Studies program at the University of Delaware. Though I teach writing courses now, I feel they are very much influenced by the teaching that I did at Delaware and my scholarly interest in representations of women in contemporary popular fiction (I have a book about chick lit and another coming out about food memoirs). In each of my writing courses, we analyze, research, and write about texts often in relation to gender. I find feminist philosophies of pedagogy to inform the way I structure my courses and conduct myself in the classroom. 4. What are some of the key issues addressed in the collection? I think an overall theme that I took away from the anthology was the idea of community. Each essay discusses really interesting approaches to using technology in the classroom, and while it may seem that technological advances could separate individuals (i.e. you might imagine each student typing away on her laptop from the comfort of her own home rather than engaging with each other in the physical classroom space), many of the essays explicitly or implicitly discussed how students still felt connected to one another. For me, this continuing theme was interesting to discover and speaks to just how important community is for feminism. 5. How do some of the core concepts of feminism and gender equity theory apply to technology? Some of the essays in our anthology address the way in which technology can be an "equalizing" factor for women. For instance, Sharon's introduction talks about the way in which women are making their presence known in virtual worlds. Other essays, though, talk about the ways in which real life gender inequalities can manifest themselves online. 6. Where has the Internet fulfilled and failed to fulfill some of its early implicit promises? This is a good question. I'm not sure I have the best answer, but I do think that - for those women with access to the Internet - that the Internet can offer some amazing opportunities for publishing to a wide audience. I'm working on a project now where food blogging is a component, and I find that many food bloggers started writing for themselves, publishing on the Internet, and realized how much their work resonated with others as they started getting more and more feedback. It's exciting to me that so many women have embraced blogging - many who might not have had a chance to be formally published. 7. What are some of your teaching, research, and other activity plans for the future? This year, I've been on leave from teaching at George Washington. I had a baby last May, named Henry, so I had the fall off from teaching for family leave. 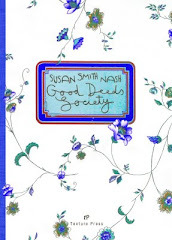 This spring, I am on sabbatical, working on a project about contemporary women's food memoirs. When I return to teaching in the fall, I'll once again be teaching my course of Mad Men. Delivering course materials is being accomplished in innovative ways. Welcome to an interview with Mickey Levitan, co-founder and CEO of Courseload, an aggregator and distributor of digital textbooks and course materials. Mickey Levitan, Co-Founder/CEO of Courseload. 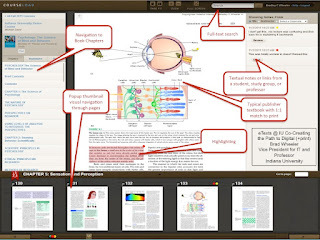 We are a device-and content source-neutral aggregator and distributer of digital textbooks and course materials. The Courseload model and and platform address the major impediments that have slowed the transition from print to digital course materials in higher education, helping colleges and universities to lower the cost of education and leverage tools that contribute to better educational outcomes. 2. What is Courseload? How does it work? Courseload is an end-to-end solution that enables schools to harness the benefits of digital course materials. 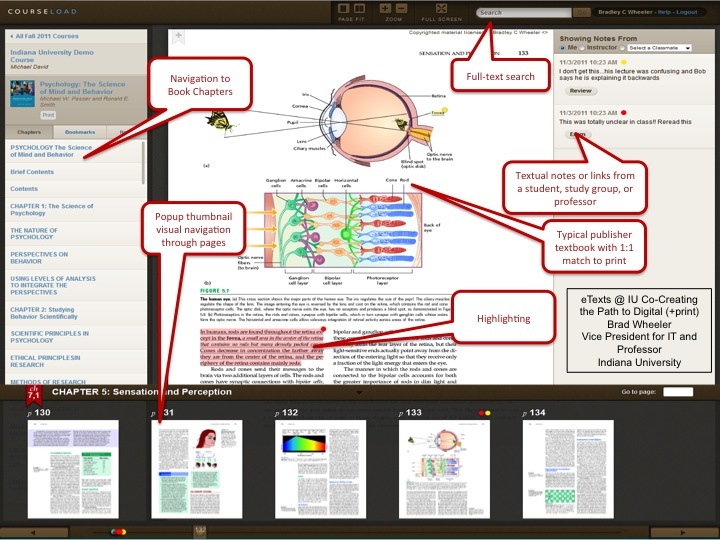 It is software platform that works in conjunction with a school's Learning Management System (LMS), aggregating requested content, distributing the content to students based on classes they have selected and providing a set of tools for highlighting, annotating, collaborating, searching and evaluating that can be used across content from multiple sources. It also handles interfaces with publishers and school systems. 3. What do you think are some of the core issues facing e-learners and e-learning organizations today? Not unlike the issues faced by the music and film industries a decade ago, the education industry is currently constrained by measures put in place by publishers to constrain piracy – measures that impede adoption and diminish user satisfaction. Courseload’s approach was conceived to overcome these major impediments that are inherent with all digital content. The approach is designed for schools that can charge students for their course materials along with tuition, thereby eliminating the economic incentive for illegal copying. If all students have already purchased the content, who needs to steal it? This approach changes the economics for publishers who lose revenues to the used book market and piracy and then react by raising prices on new texts. With 100% sell-through guaranteed and illegal copying eliminated, publishers can lower prices dramatically and improve their own profitability. They can also eliminate the cumbersome restrictions on copying, printing, offline access, number of devices, or length of access that historically have made digital content less attractive to end users. By creating conditions in which eTexts can be more widely used, schools can harness the teaching and learning advantages that come with broader application of digital tools and richer course content. By creating a platform that can aggregate and distribute content from all sources – proprietary, open source, self-generated, audio and video – academic institutions can take advantage of the growing choices the digital world provides. 4. What are some of the "disruptive technologies" that will continue to impact elearning in the next few years? 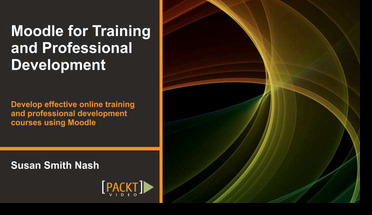 • Leverage technology to provide insight into how students are learning and how instructors can help them succeed. 5. What are some of the new digital platforms for course texts? The focus among newer platforms is on "self-publishing". As self-published texts proliferate, it will be interesting to track what new models emerge to ensure the kind of rigorous editing & review process that has been the hallmark of proprietary content. Some of the newer platforms include: Apple iBooks2, Thuze and Inkling. The Flagship Flock includes Courseload, CourseSmart, VitalSource, Kno and Nookstudy. A major distinction between platforms is whether they are designed to go direct to consumer or for institutional partnership. The latter offers potential advantages on cost, collaboration and analytics. 6. 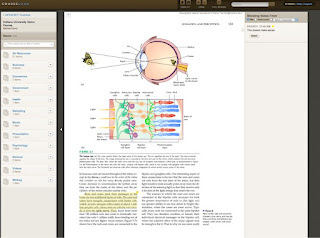 Is it necessary for students to be connected to the internet in order to access the textbooks via courseload? How do you deal with the issues of bandwidth and people who do not necessarily have universal and persistent access? Courseload is a cloud-based SaaS platform that is content source, device-, and LMS-agnostic. It can be accessed both on and offline. The Courseload platform does not have bandwidth issues in and of itself as it is a cloud-based, light weight platform that does not consume much bandwidth. Where access or bandwidth issues arise, Courseload has an offline capability. Thus far, we have not encountered bandwidth issues with schools using our platform. In schools where all students do no have access to a computing device, the potential cost savings of $600/year with digital provides ways, through financial aid, to justify the up front purchase of a capable device. 7. Are there contingency plans for individuals who are using a smartphone for access and whose provider has blocked or slowed access? How do we keep from creating "bandwidth hogs" when we insist that everything be streamed / accessed from the Cloud? How can we overcome the problem? Courseload's contingency plan for access is our offline capability. Once the user logs in to the online version of the Courseload platform, the Courseload application can be quickly downloaded to the user's personal device. 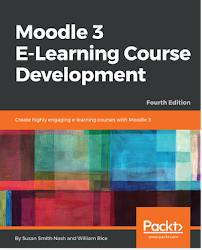 All digital content associated with the user's courses is then also available without being tethered to the internet. Courseload has not encountered bandwidth issues because our platform is very light weight in terms of the bandwidth required. 8. 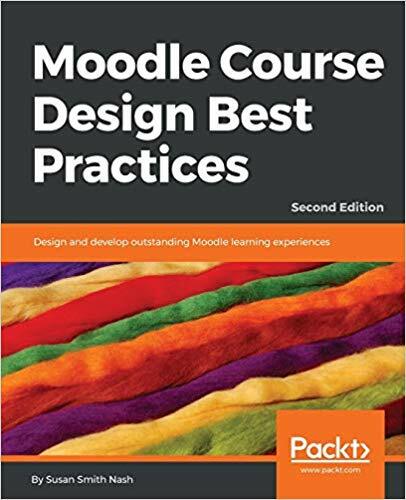 What do you see as high-growth areas in terms of textbooks / course content / course materials? 9. What would you like to see happen in the near future? One of the potential benefits of moving from digital to print is to lower supply chain costs. There is a potential win-win for content developers and content users if there is a fair and equitable redistribution of the available economic rents. If this happens quickly, it will accelerate the transition to digital.